The motte of Penwortham Castle is a huge artificial mound, built by the Normans soon after their conquest of northern England. The wooden castle that stood here and lasted nearly two hundred years is long gone, but the site and the motte are well worth a visit. We know from the Domesday book that the castle was built before 1086. It was of the classic ‘motte and bailey’ kind. 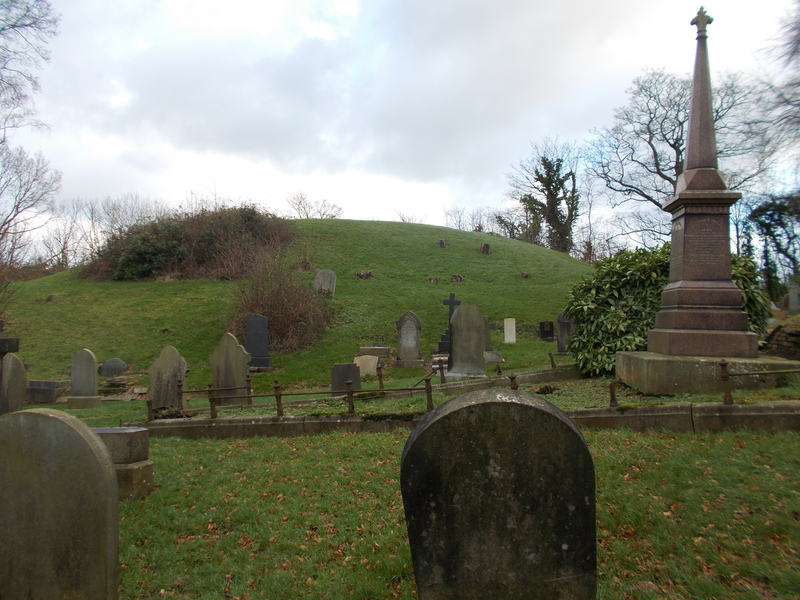 It consisted of a large mound with a wooden tower on top, and a surrounding ‘bailey’ area around it. 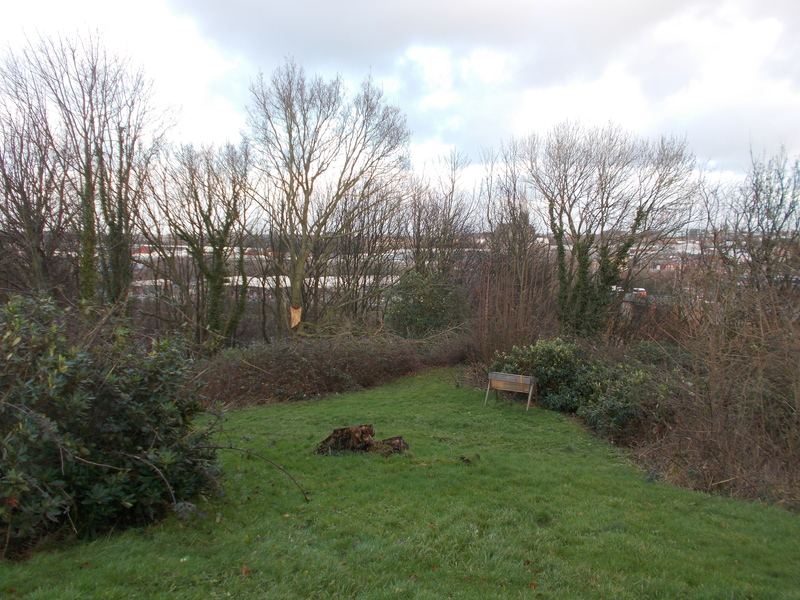 The whole site would be protected by a large wooden fence. Its site is strategic for both trade and defense.Penwortham is in a good position for transport routes (there are fords nearby, one to the south at Middleforth and another to the north.) As a vantage point and defendible position it’s well located too. 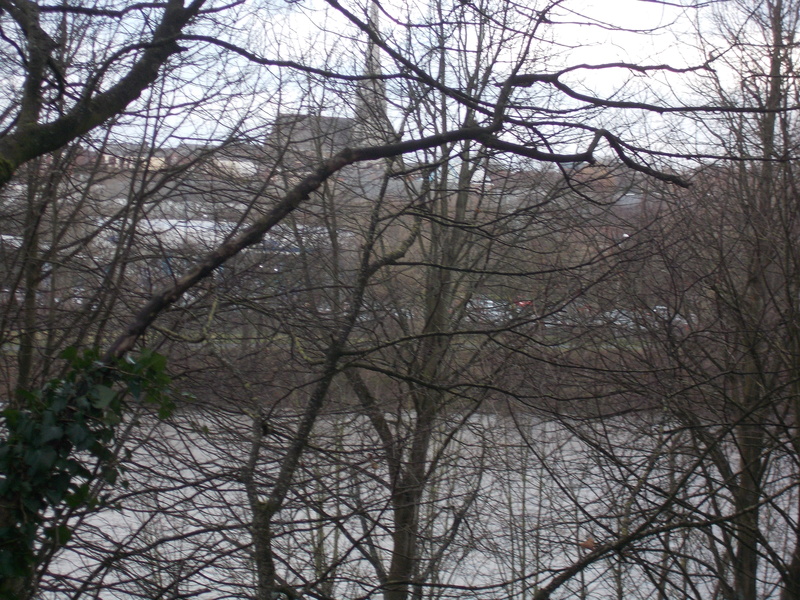 Overlooking the River Ribble, it had a twin in Tulketh Castle on the other side, also a Norman motte and bailey design.The two castles would have been good protection for both nearby Preston and all of the lower Ribble valley. This area of Lancashire acted as a buffer zone with the Scottish kingdom of Strathclyde, which extended south into present day Cumbria. 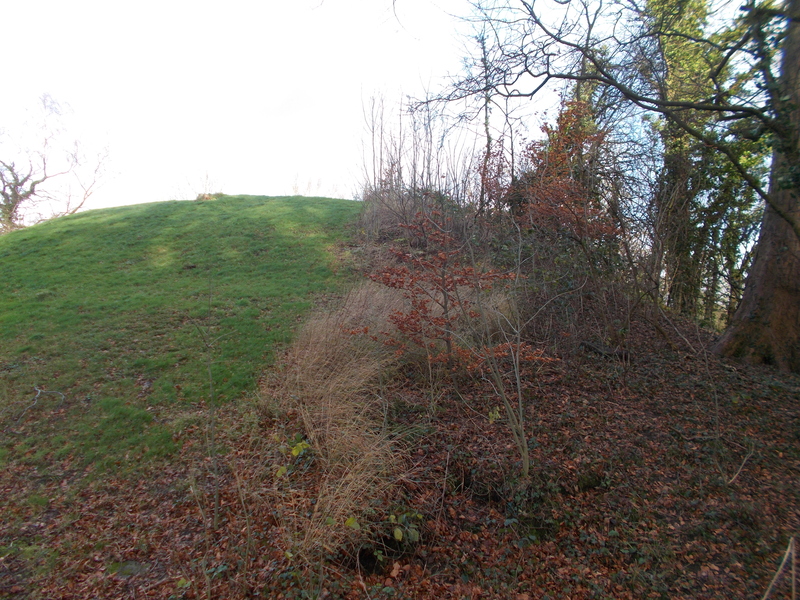 The motte we see today is a conical mound, slightly oval in plan. It stands on a natural promontory overlooking the Ribble, and is 120 feet in diameter at its longest base, 25 feet across at the summit. The mound seems to consist of a higher and lower plateau, and there may have been a second fenced bailey on the lower plateau. 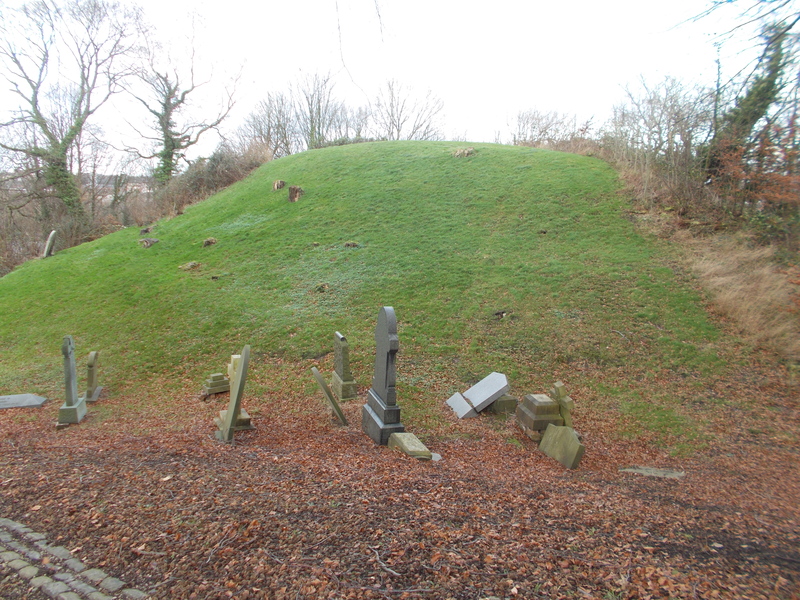 Excavations in 1856 showed that the mound had at least two phases of history, and it seems to have been raised at a later date. Eleven feet beneath the present summit, the dig showed a circular palisade (defensive fence) surrounding a wooden building. The building had several separate rooms and sat on a boulder pavement. At some time later, a second boulder pavement was laid 5 feet above the dwelling and the mound was raised 7 feet. Excavation finds included a central oak post, 5 feet tall and still standing in its original position. Other discoveries included a broken paddle, net sinkers (for weighing down fishing nets), a prick spur (a horse spur with a spike to dig into the horse to ‘encourage it on’), a spindle whorl ( this would fit on to a spinning spindle and increases its speed of rotation), wooden pegs, iron nails, animal bones and decayed vegetable matter. In 1086 the Norman Domesday survey described Penwortham as follows: “King Edward held Penwortham. Two carucates of land (each caracute is about 120 acres). It paid 10d. Now there is a castle. Two ploughs in lordship; six burgesses, three riders, eight villagers and four ploughmen. They have 4 ploughs between them. Half a fishery; woodland and hawk’s eyries as before 1066. Value £3.” In this text and and at the site are clues to Penwortham’s Norman and earlier Saxon heritage. ‘Now there is a castle’ refers to the newly built Norman motte and bailey. The previous owner is King Edward the Confessor, the second to last Saxon king of England. Harold, who died at the battle of Hastings was the last, but was never acknowledged by the Normans as being a legitimate king of England. It’s very likely that the site has a much older history.There could well have been an earlier important Saxon power base at this location. The present day church is on an imposing high point, set apart from the motte and there may well have been an earlier Saxon church on the same spot.The motte itself could well have had an earlier Saxon hall on it (or rather under it). The mention of the burgesses in the above qoutation from Domesday and the fact that Penwortham was the only borough in the whole of Lancashire at that time, implies it was an imporant administrative centre within our area. It may well have been a Saxon ‘Burh’, created some 150 years before the Normans came. A burh was a ‘fortified place’ in the campaign against the Vikings during the time of Alfred the Great’s daughter and son. Alfred had fought the Vikings and established his rule of England south of the line of Watling street, which stretches from London to Chester. His daughter Aethelflaed and his son Edward the Elder established a series of fortified burhs in Cheshire and Lancashire. These were often at the side of the large rivers- which are frequently used as strategic lines marking territoires. Campaign by campaign the Saxon alliance of Aethelflaed’s Mercia and Edward the Elder’s Wessex pushed into Lancashire, consolidating victories with fortified burhs against the occupying Vikings. Penwortham, as noted is an excellent defensive site and similar riverside burhs were constructed at Runcorn (built in 915), Thelwall and Manchester (both built in 919). The most probable date for the burh at Penwortham is 920. It’s to be noted that within this era Viking hoards had been buried and never reclaimed, at Silverdale (click here to read to blog post) and at nearby Cuerdale by the river Ribble, at Walton le Dale. The most likely reason that such large collections of coin and hack silver was not reclaimed, is that their owners were dead, killed possibly in skirmishes and battles with the advancing Saxons. After the Norman conquest William the Conqueror gave the land around Penwortham to Roger de Busli. It later passed to Warine Bussel, who donated some of it to the Abbey of Evesham. The Benedictine monks of Evesham established Penwortham Priory nearby the castle (which will be the subject of a future blog). By 1232 Penwortham Castle was no longer in use, and the lands eventually passed to the Crown. In 1632 King Charles I sold the royal manor of Penwortham to local wealthy families. Park at the church car park on Church Lane. 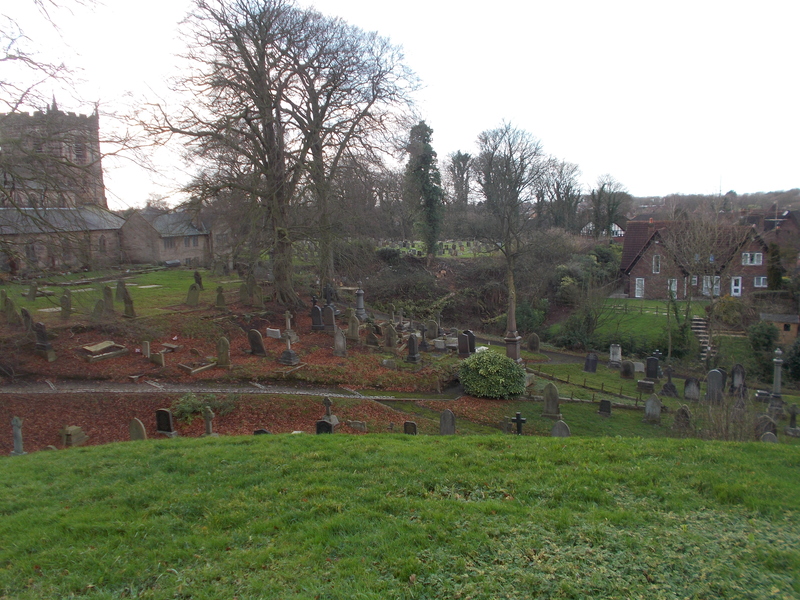 Access is through the graveyard during daylight hours.